This month in Barcelona, there is a one-off option for some entertainment that your family is likely to love. Why not reminisce over the ghosts of the past with a performance aimed at all the family? 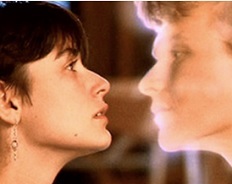 For the adults among us, there are probably fond memories of the famous movie Ghost, which was as heart-wrenching as it was heart-warming, and brought into question the nature of reality; we were all left thinking about whether ghosts really exist! To recap the movie plot, Sam Wheat (played by the late actor Patrick Swayze) is a banker, who is madly in love with artist Molly Jensen (played by Demi Moore). In an unfortunate turn of events, Sam is murdered by a ‘friend’ named Carl Turner (played by Tony Goldwyn), who also happens to be his corrupt business partner with a vested interest in Sam’s demise. After Sam’s death, he finds himself stuck on the earth as a Ghost, and no way to communicate with his devastated Molly. Once he realises that Carl betrayed him, Sam decides to enlist (against her will) the assistance of a psychic with questionable ability, Oda Mae Brown (played Whoopi Goldberg). In the meantime, Carl is trying to get close to Molly, so Sam must do everything in his power to get through to her and set things right. It’s a great movie, but there is nothing more heartwarming than watching children perform their art; so now you can ‘kill two birds with one stone’ during your time in Barcelona by attending Ghost the Musical: Beyond love on 12th June 2016. The performances were practiced by two hundred and fifty students between 2015 and 2016, so they should have a well-polished show for you by now! 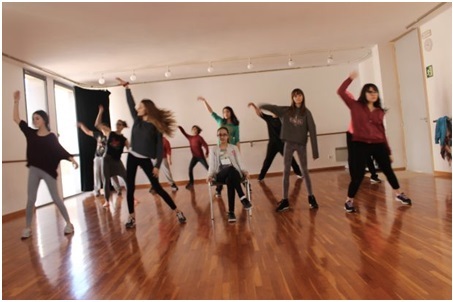 The Barcelona students have exhibited sixteen theatre workshops in this time, with a contemporary dance theme, and you can find them at Can Gassol, Centre de Creació d’Arts Escèniques, Plaça de la Pepa Maca, 15 Mataró. The musical theatre group is directed by Adrian Aguilera, Marc Jara and Helena Flynn and is an adaptation of the Broadway musical blockbuster. The Theatre has collaborated with the Foundation Food Bank and is asking attendees of the workshops to support this solidarity initiative in providing some food goods like rice, pasta, pulses, milk and ideally some oils, which can then be distributed among charities local to Mataro. If you wish to do your bit for the local community, this is a great way to help, and there is a collection point at the workshops. 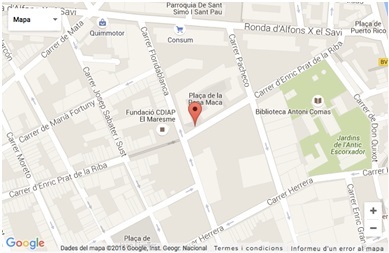 Enjoy your stay in our familial aparthotel in Sarrià, Barcelona!